As the Westerby Group continues to grow and expand its business, we continually seek to recruit new members of staff. If you are interested in finding out what opportunities are available within the group, please send us your details and attach your CV and send to the email below. 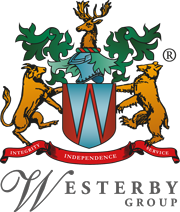 Westerby Investment Management Limited has grown significantly over the last five years. This growth has now lead to a new exciting opportunity for an Independent Financial Adviser to join the Westerby team. The IFA must have at least 5 years’ experience in the industry and are chartered or close to qualifying as chartered. It is essential that you have some of your own client bank and are proactive in generating your own business. The company offer a competitive salary and benefits. There will be a strong level of support from a highly competent team of Paraplanners and Administrators.